While governments around the world are eager to explore Mars, our moon, and the solar system in general, we seem to forget that Earth –and our planet oceans— are filled with mystery and are equally important to explore. Throughout the centuries, mankind has stumbled upon countless ancient sites around the globe which point to intricate civilizations existing perhaps even before written history. The truth is that thousands of years ago –even perhaps tens of thousands of years ago— ancient mankind somehow achieved incredible things that modern society cannot replicate today. In this article, I’ll take you on a trip around the globe where we will explore 10, mindboggling ancient sites that you won’t believe actually exist. The first place on my list are the mysterious tracks, seen around the world which have puzzled archaeologists for decades. These enigmatic tracks are visible in several countries including Turkey, Malta, and Spain. According to Dr. Alexander Koltypin –a geologist and director of the Natural Science Research Center at Moscow’s International Independent University of Ecology and Politology—, these were left by heavy all-terrain vehicles some 12 million to 14 million years ago. This is an extremely controversial theory since mainstream scholars claim that our civilization dates back several thousand and not millions of years. On his website, Koltypin said the wheel tracks cross over faults formed in the middle and late Miocene period (about 12 to 14 million years ago), suggesting they are older than those faults. 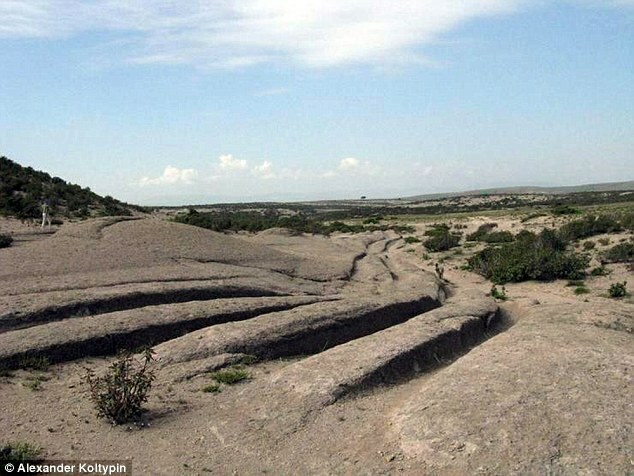 Another puzzling site on planet earth are the mindboggling megaliths located in the Ural Mountains. The Ural Mountains are famous not only because of their megalithic sites and lost civilizations that have kept scientists busy for years, but the region is also incredibly famous for a number of so-called out-of-place-artifacts that have been recovered in the area. The Menhirs are the most famous megalithic structures found in the Ural Mountains. The menhir is a single vertical stone. It can be found as a single structure or placed together with a number of other monoliths. The menhirs discovered in the Ural mountains include both monoliths and aggrupations of several structures. Most of the menhirs were discovered near settlements or cemeteries from the Bronze Age. These are the hieroglyphs that have caused major interest. Image credit unknown. Talking about transoceanic voyages thousands of years ago… Mainstream scholars believe it nearly impossible, although evidence of such voyages has been found in many places. 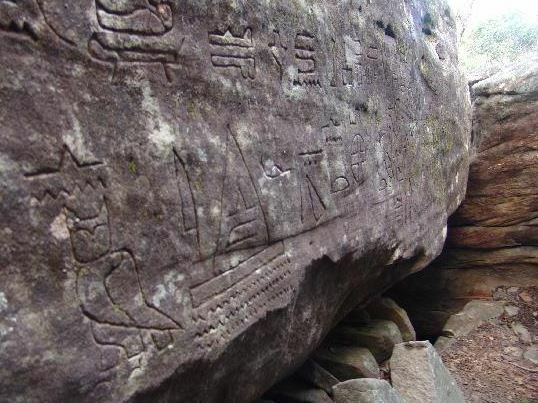 The ancient Egyptian Hieroglyphs in Australia are located, at the Brisbane Water National Park, Kariong. Not only do many researchers believe these glyphs are authentic, the scribes accurately used several ancient hieroglyphs and ‘grammatical’ variations which, crucially, were not even documented in Egyptian hieroglyphic until recent times. 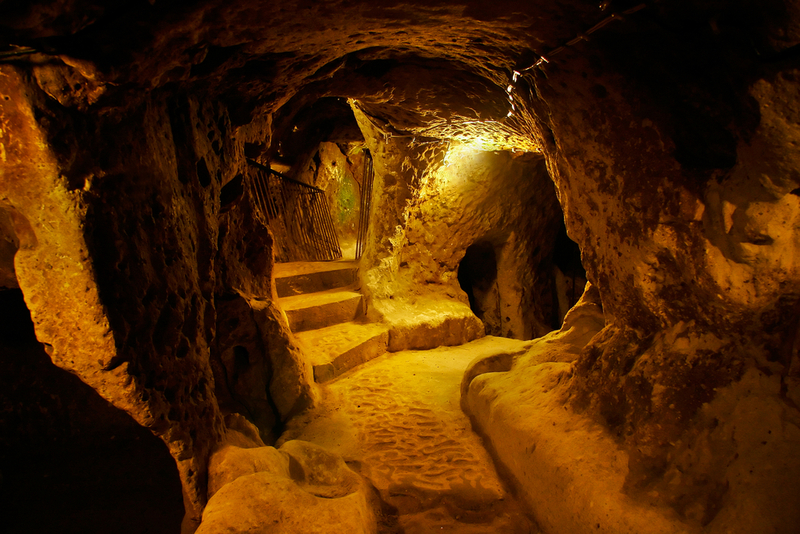 Located in the area beneath Fort Nevşehir, a Byzantine-era hilltop castle in Nevşehir, this mysterious underground city has proven to be one of the most shocking discoveries in recent years in the Cappadocia region where this, and other underground cities are located. Just why on Earth would people –5,000 years ago— build massive underground cities? Furthermore, how did they manage to do it? This huge city remains largely unexplored but according to early studies, the size and features could very well rival those of the ancient underground city of Derinkuyu, which is one of the largest excavated underground cities in the region. A group of Geophysicists from the Nevşehir University conducted a systematic survey of a 4-kilometer area using geophysical resistivity and seismic tomography which showed incredible results. Out of the 33 independent measurements they took, they estimate that this ancient underground city is nearly five million square feet (460,000 square meters) plunging as deep as 113 meters, which would make it the largest underground city ever discovered, larger than Derinkuyu by a third. 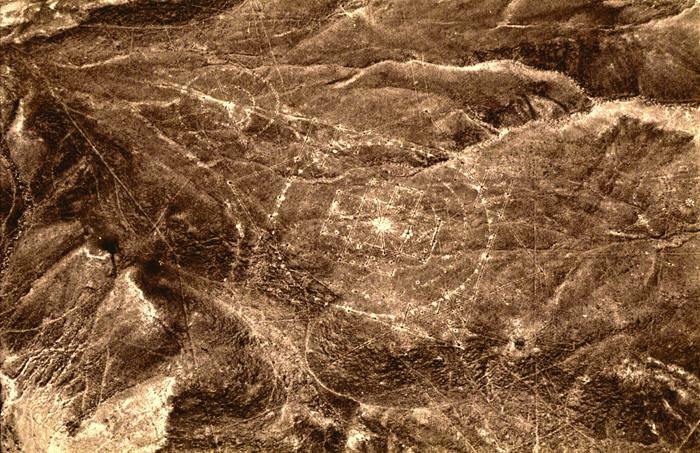 Located in the vicinity of the famous Nazca lines is a symbol that simply put, should not be there. While the Nazca lines are without a doubt, the most enigmatic and mysterious geoglyphs ever discovered on the planet, not far from them is a symbol that has created great confusion among scholars.